Booking a last minute summer holiday can be stressful, so to help you get prepared and avoid the pre-holiday stress, we would like to share our handy holiday to do list. 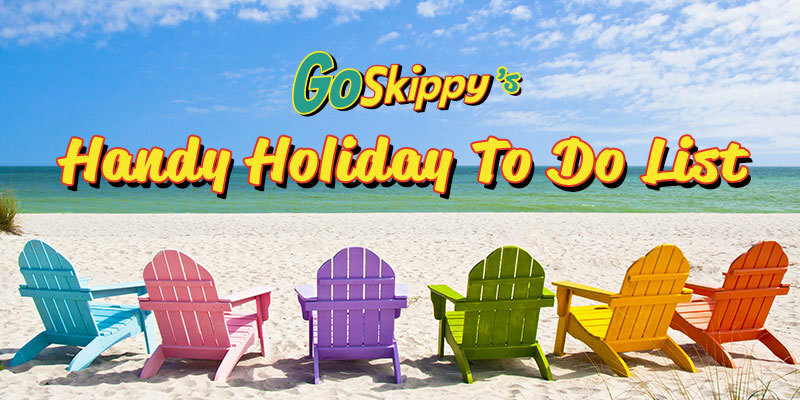 Read through this check list and get a cheap travel insurance quote with GoSkippy to make sure you’ve got everything covered, giving you more time to sit back and enjoy your trip! Ever been on holiday and your bank account has been suspended? This is something that many of us forget when travelling abroad. It is important to contact your bank to let them know that you are going on holiday and let them know where you are travelling to. A sudden overseas activity on your bank account may be flagged as suspicious to your provider and they may take the initiative to freeze your account. This may result in not being able to draw out any money for the rest of your holiday. Before you leave the country just give them a call and a heads up that you will be travelling abroad and using your bank card whilst away. This will hopefully prevent any issues with withdrawing your money. If you are planning on taking currency away with you, make sure you do your research. 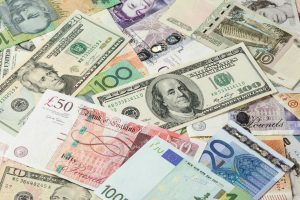 It’s important to know the currency they use in the country you are travelling to so you arrive with the correct money. Researching the cheapest rates online using MoneySavingExperts TravelMoneyMax can save you some money and time. Using this tool you can fill out the form and it will generate the cheapest rate for you and where you can exchange. There is nothing worse than finally arriving at the airport and being told there is no parking spaces left. If you are planning on driving to the airport, we would suggest pre-booking your space online. You can do this by going direct to the airports website. Make sure you remind yourself of your departing and returning flight times to ensure you book the parking space for the adequate amount of time. Booking online will not only give you peace of mind but also it usually saves you money by booking in advance. As the suitcases are being packed and the excitement is kicking in make sure you do not forget the importance of leaving your house secure. Make sure all windows and doors are locked and all electrical appliances are switched off and un-plugged. If you can, find a trusted neighbour or family member to regularly check on your house whilst your away. Who’s boarding the plane? Dig out all passports of those who are going on holiday and make sure all passports are in date. 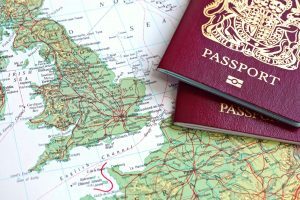 You can find all the information you need regarding your passport at https://www.gov.uk/browse/abroad/passports. Make sure you have all the important documents ready before setting off to the airport. You will need boarding passes for all travellers, your hotel booking confirmation and last but certainly not least, you will need your travel insurance policy documents. GoSkippy now offers low-cost travel insurance and makes it easy for you to get a quote online, so find out how we can help you save today.